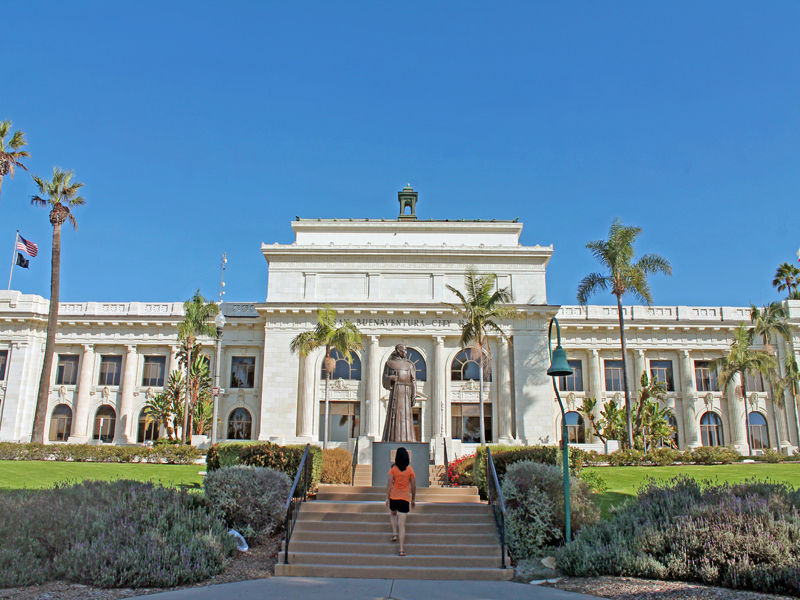 The beauty of Ventura, California is breathtaking when the history and its historical landmarks are combined with the cuteness of being a "laid-back" beach town. 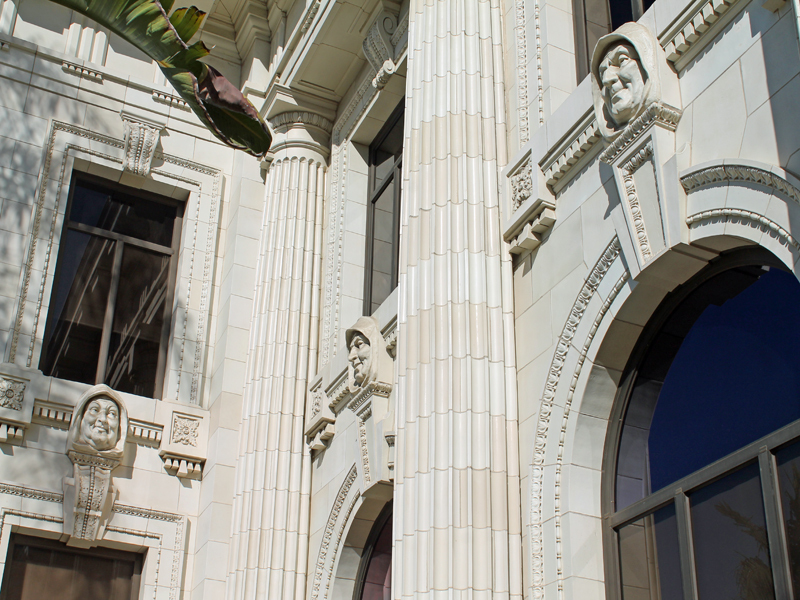 This is a premier building in downtown Ventura sits atop of California Street with its grandeur stature. 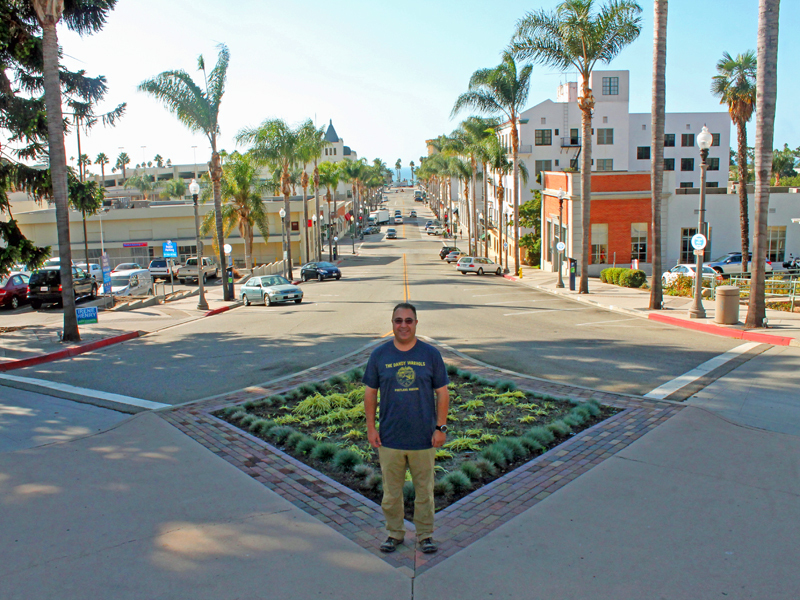 It overlooks the beautiful Pacific Ocean and one of the main strips of Downtown Ventura. The city offices are located inside, a statue of Father Junipero Serra stands at the front and botanical garden trails is directly behind the building. If you're a traveler who normally doesn't visit City Hall, don't miss this one. 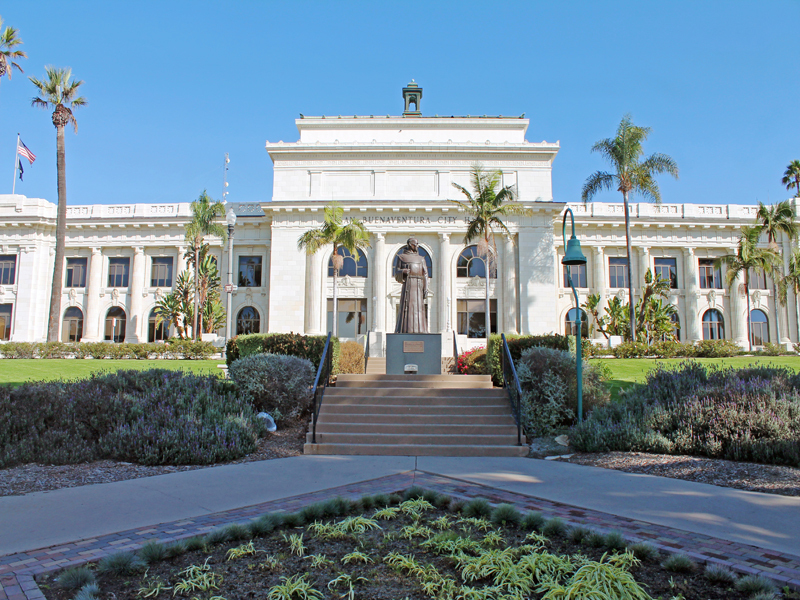 The San Buenaventura City Hall building is definitely a piece of Ventura's overall appeal. 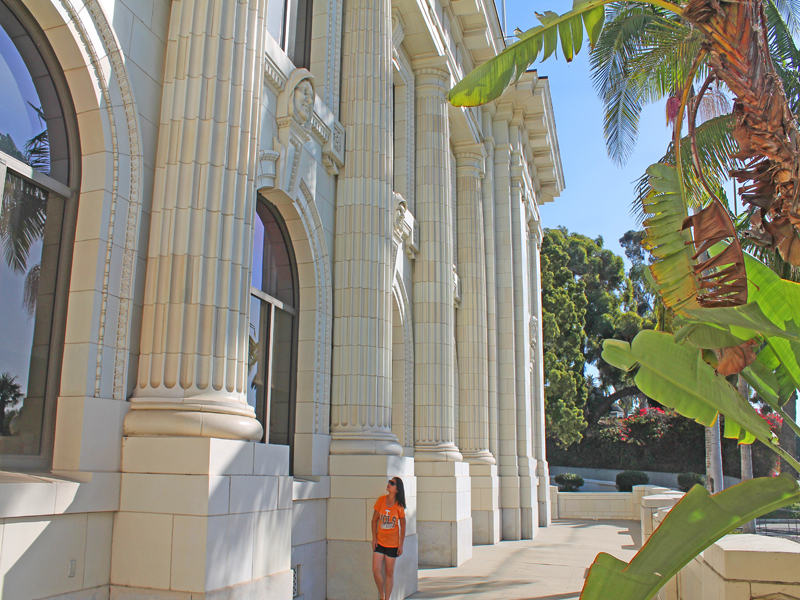 Myself standing at this Historic City Hall in Ventura, California that was built in 1912. A statue of Father Junipero Serra stands in the front of the building. 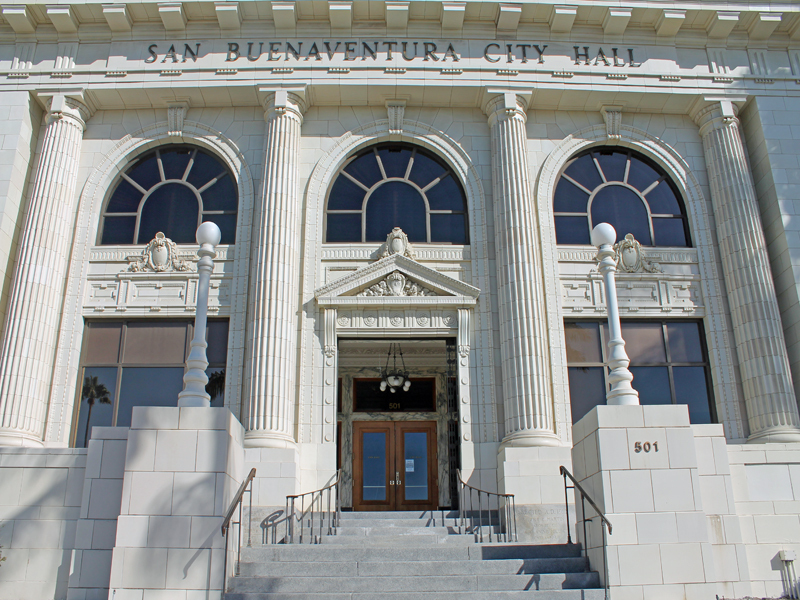 San Buenaventura City Hall started out as the Ventura County Courthouse and was built in 1912. It is a State of California Historical Landmark, listed on the National Register for Historic Places. The building sports a copper sheathed dome and an elegant Italian marble foyer. 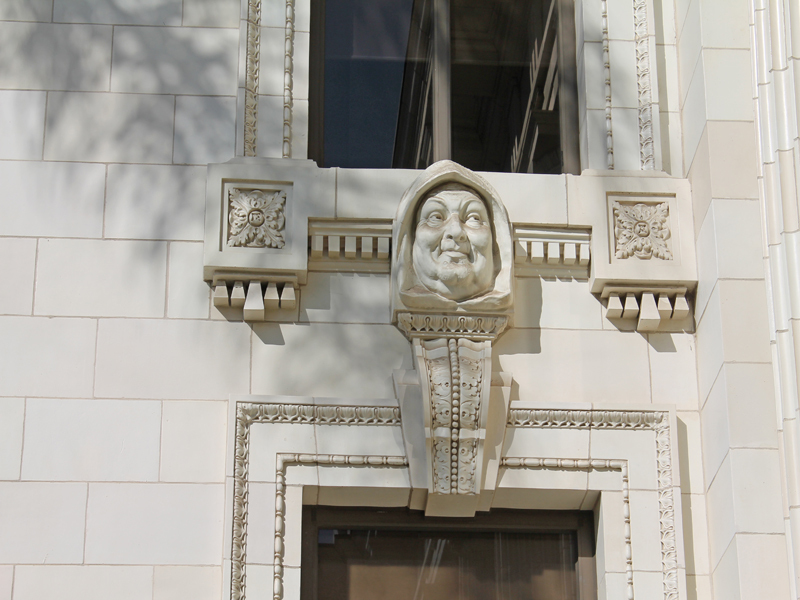 Between the first and second floor windows of City Hall are Gargoyles type faces of priests which serve as a historical reminder that the City of San Buenaventura was one of the nine original Mission towns founded by Father Junipero Serra and Franciscan friars in 1782. You can also see art work by local artists that is displayed on the first and second floors of City Hall. The Ventura City Hall was saved from being burned by the Thomas Fire that raged through Ventura in early December 2017. 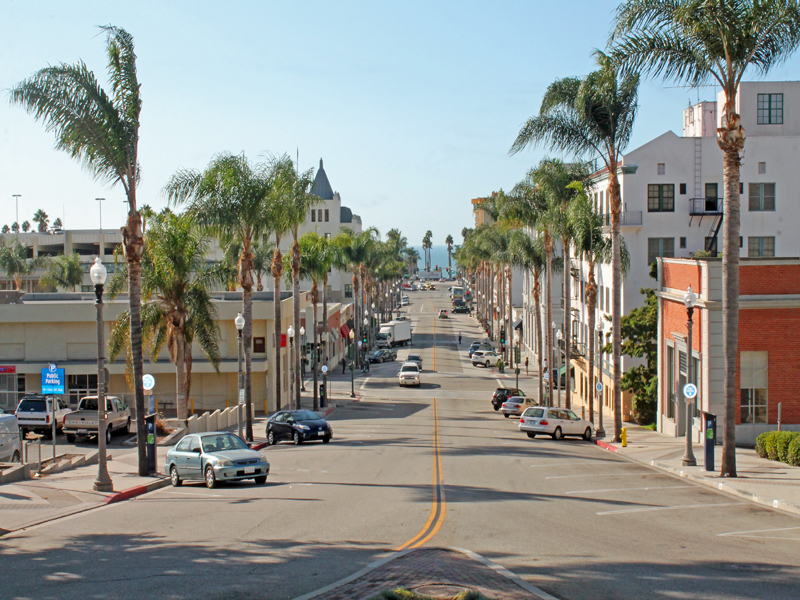 One of the main strip of Downtown Ventura overlooks the beautiful Pacific Ocean. Outside of the city hall has face sculpture , this faces are supposed to be the Franciscans Monk. But the myth is they are actually faces of the some of the construction workers who put their own faces into the building as supposed to what originally draw. 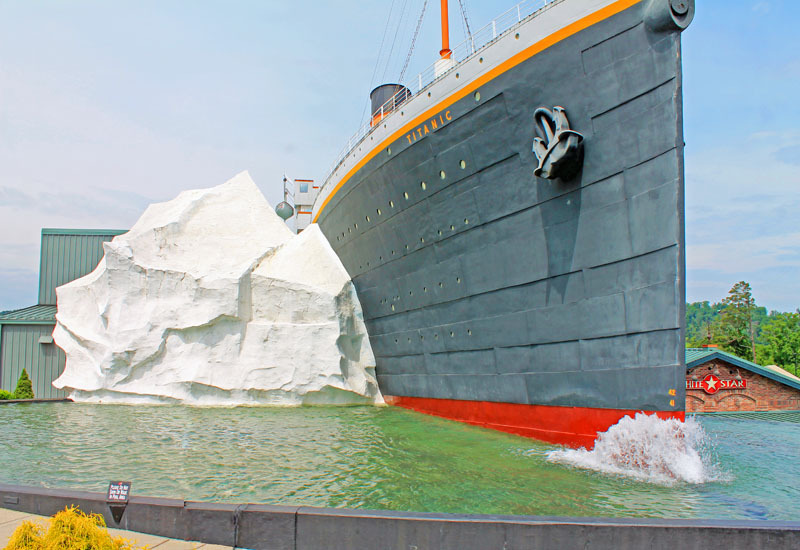 This is one of the story that every locals and tourists love. One thing I like about city of Ventura is that, they have the best weather out most of all the cities in United States. Ventura prides itself on its relaxed lifestyle, walkable streets and of course, its pristine ocean views. Hope you find the city of Ventura a fun place to visit while in California. 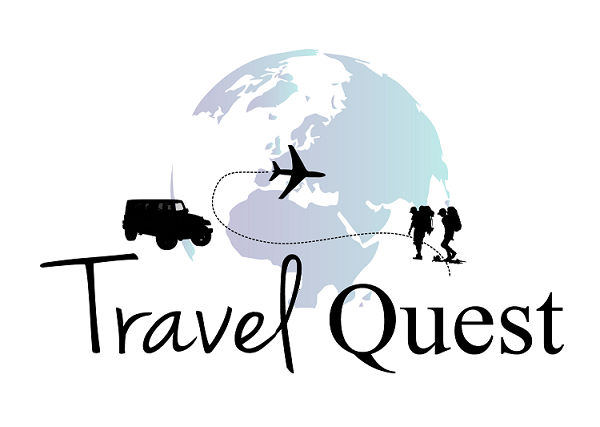 Feel free to share this and don't forget to follow us for more adventure. That is a lovely building. I have never been to this part of CA before, but I would love to go. This is a very beautiful place. I have visited there. A nice place to go with family. What a beautiful historical building you were able to visit. Built in 1912 they have preserved this building and the grounds really well. That is a beautiful place. I love visiting historical landmarks like this. They are so full of stories. It's weird for me to think of something built in 1912 as old but indeed it is. Over 100 years! I would love this, right up my alley! I love those faces and the myth that they may be faces of the construction workers - too funny. I'd love to visit some day! That is my favorite story too , I hope one day you can come visit. What an absolutely beautiful looking place to go and explore. That is such a great story as well about the faces, can you imagine if it was true lol! That looks like a wonderful place to explore. If I'm ever in San Buenaventura, I'd love to visit. The architecture & history of that building is awesome. This would be such a beautiful spot to check out. I love learning more about buildings, so I'd have a great time. California architecture is my absolute favorite and this is a gorgeous example of it. 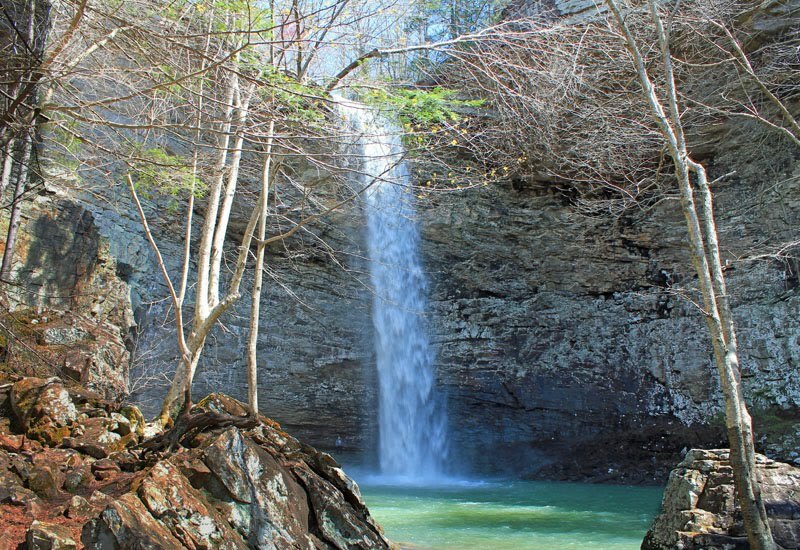 Looks like an amazing place to visit! Stunning photographs! Looks like an amazing place to visit! I would love to check it out! My husband and I love California. Can't wait to get back, especially after seeing these gorgeous photos. We love California too so much things to do there and the weather is always nice. No wonder why the cost of living there is so expensive. The architecture looks pretty there. We enjoy spending time in California. There is so much to see and do all over California. I haven't been in years. I would like to go back to visit. What a scenic and beautiful place! It looks like there is so much to explore, and it looks like it would be interesting to check out. I've never been to California! I hope one day you and your family can visit California. It is a very pretty state so much history and lots of beaches. What a gorgeous building! Your images make me feel like I'm right there. Such a beautiful place, the architecture is gorgeous. And surrounded by palm trees just makes it that much more beautiful of a site! Yes so many palm trees very tropical and so many popular historical architecture. We always have fun every time we go visit California. What a beautiful place to visit. I would love to visit with my family the next time we visit California. I love architecture and The San Buenaventura City Hall look stunning from all angles. Thanks for the brief history and review of this beautiful place in California. Just been back from California last winter, flying all the way from Asia. My pleasure I hope you enjoy your vacation to California. We've only been to California once and would love to go back there someday. This is one beautiful; city. I agree sis California is not only for glitz and glamour. We can explore more if only we have lots of time. Definitely we will go back again in the near future. This looks like it would be such a stunning place to visit. I have never been across the country at all. Your photos are gorgeous. I drove through Ventura once when I was working in CA, but I never really took the time to stop and check the place out because I was working.. I do wish I had taken some time to soak up the beauty Ventura has.. Maybe I can get there again someday! Not a lot of people heard about Ventura, CA unless you knew someone there or you have an agenda like business trip. Which I like because this small beach town is so quaint and peaceful. I would love to live here if there is an opportunity. Wow, that is such a beautiful building. If I ever am able to travel to Ventura, CA I will put the City Hall at the top of my list of places to visit. Love these pictures. I hope to visit CA soon. California is my next stop! I'm currently in Oregon, but we will be passing through on our way to AZ. Can't wait to check this town out, it looks beautiful. Wow what a fun road trip have fun! I recommend taking the Pacific Coast Highway definitely lots of breathtaking views. I love biking along the Pacific coast highway in near Ventura. However, I've never really checked the city hall. One more reason to visit I guess. I would like to visit San bunenventura some day. really beautiful place fun to take walk through those streets. California is truly a beautiful and amazing travel destination. I will surely go there in the beautiful city of San Buenaventura when we visit California again. I totally agree with that so much things to do and see. Definitely no boring moment when you decided to travel there. Ventura is always gorgeous whenever I am out there. I didn't realize they had such a cool city hall area though. It does have such a classic design to it and well worth a visit. That's a good thing about this beach town coast nobody knows it is there. It becomes more appealing to me to move there if there is an opportunity. I taught 4th grade for years, and the California missions were a big part of the curriculum. Sadly, I've only seen a handful of the missions in person. San Buenaventura is lovely! Can't wait to visit this one. Yes learning about the Mission was really interesting. We visit the old built church in Ventura I thought it was cool. Im glad i give you a laugh 😊 we all need it anyways. I personally can’t get over with the story since I’ve heard it from the Mayor of Ventura.